The Mikasa “MVA 300 ATTR” volleyball attack trainer is a special training aid for improving attacking technique. The Mikasa “MVA 300 ATTR” volleyball attack trainer features dimple technology, which means that a large number of dimples are set into the surface of the ball. These give the volleyball outstanding grip and make it truer in flight. A further advantage is its dual-layer butyl rubber bladder. This ensures optimum watertightness. Especially practical: the material is particularly elastic, even in high temperatures. The Mikasa “MVA 300 ATTR” volleyball attack trainer is equipped with 2 elastic cords, which you can use to perfect your attacking technique. Because the elastic cords allow you to keep the ball in position. The height and distance from the net can be adjusted depending on the age group and performance level. 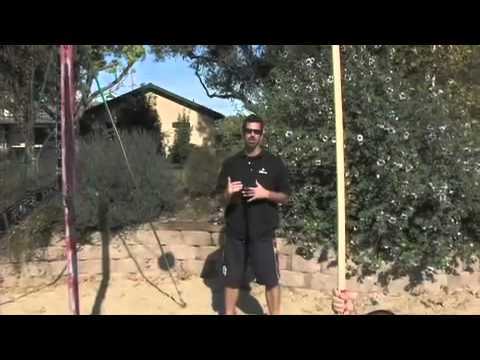 This gives you the opportunity to improve your jumping and technique. Are you looking for a volleyball which you can use to practice your technique? Then the Mikasa “MVA 300 ATTR” volleyball attack trainer is exactly right for you.